I could spend several hours waffling about my admiration for Francesco Totti (and I probably will before Roma “week” is done) but my research has helped my uncover a host of Roma legends who I hadn’t even heard of before. Here are a few notable names I’ve discovered along the way. One of the most popular players in Giallorossi history, Conti’s legendary status is only matched by Totti’s. Born in the Roman province of Nettuno, Conti stayed with Roma his entire career (interrupted only by two loan spells at Genoa) and made a total of 304 league appearances in 17 years with his hometown club. A jet-heeled left-winger of great guile and crossing ability, Conti came through Roma’s youth system to make a name for himself. He’s widely considered one of the best wingers of his generation, and won a Scudetto and four Coppa Italias during his domestic playing career. He was also an international success, and played a key role in Italy’s 1982 World Cup triumph. Success, however, didn’t come easy for Conti. He debuted aged 18 but struggled to hold down a regular first team place for years. Many derided him for his tiny stature (Conti is just 5’6”) but two seasons spent with Genoa in Serie B helped him greatly. Nils Liedholm was in-charge when Conti returned, and he established himself as a real franchise player in the 1980s. Conti is still with Roma today and currently works as the club’s director of football. 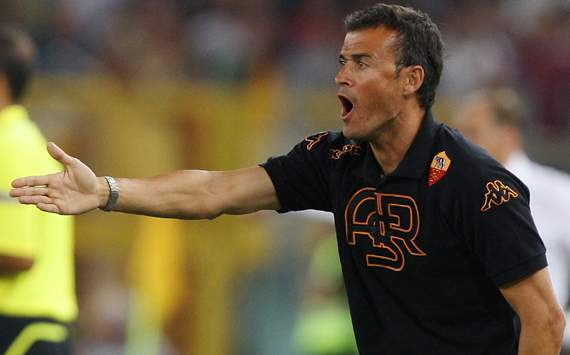 Aged 56, Conti has also worked with the Giallorossi youth team and as a caretaker manager in the past decade. His legendary status ensure he’ll have a job for life. 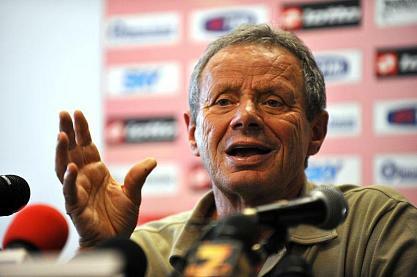 Nicknamed “Il Bomber”, Pruzzo was Roma’s top scorer for seven consecutive seasons from 1979 to 1986. His trophy haul is identical to Conti’s, and his 136 goals in 315 appearances make him Roma’s second all-time top scorer. Born in Genoa, Pruzzo signed from his hometown side for an Italian record 3m lira in 1978. Totti has since usurped him as Roma’s leading goalscorer, but Pruzzo was incredibly prolific for Roma for several seasons. He finished three seasons as Serie A’s top goalscorer while with the capital club but only accumulated a paltry six Azzurri caps in his career. 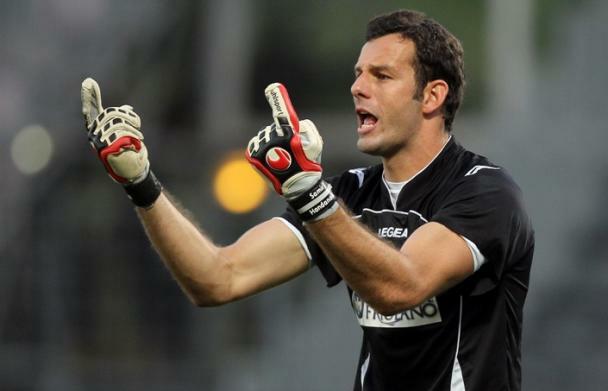 Pruzzo retired in 1989 after a single season with Fiorentina. Playing in the same Roma side as Conti and Pruzzo, “DiBa” was born and raised in the eternal city. 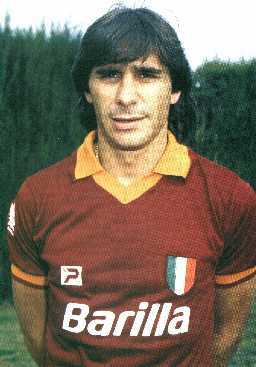 A product of the youth system, Agostino made his first Giallorossi appearance in 1972 but, like Conti, struggled to make an additional breakthrough. He spent a year on loan with Vicenza before really making the breakthrough in 1976. DiBa was a natural leader, and captained Roma during their Scudetto-winning season in 82-83. Vision, technique, passing ability and determination were his key attributes and he played with an almost perfect combination of grit and finesse. He’s considered one of the Giallorossi’s greatest ever captains and never gave anything less than 100% for the team he loved. Sven-Goran Eriksson’s 1984 sale of DiBa to Milan sparked protests around the capital: the player never wanted to leave, and the fans were shocked to see him go. In hindsight, however, it might’ve been the correct decision. Agostino was never the same after leaving Roma and his career slowly petered out at Cesena and Salernitana. DiBa, a lifelong depression victim, tragically committed suicide in 1994. Losi’s 450 appearances make him Roma’s second all-time appearance leader (after, you guessed it, Totti). He captained the Giallorossi for nine seasons from 1959 to 1968 and won three trophies at Roma (two Coppa Italias and the Inter Cities Fairs Cup). 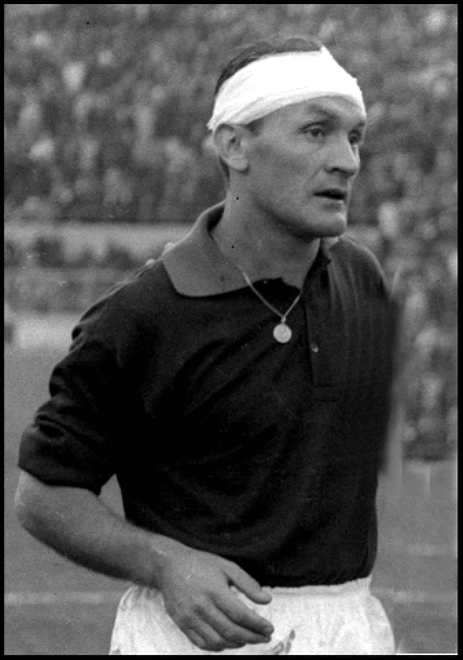 More of a club legend than a national hero, Losi nonetheless picked-up 11 Azzurri caps in his career. He played as a full-back and his clean-but-strong defender style saw him pick-up just a single booking in his 14-year career. 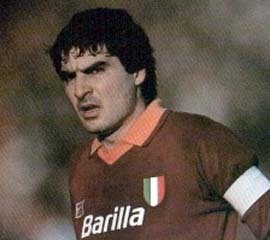 Born in Soncino, Lodi became a true Giallorossi hero in 1961 when he played almost a whole match against Sampdoria injured, even scoring the winner. He still lives in Rome to this day and occupies himself as a director of non-league Valle Aurelia 87. 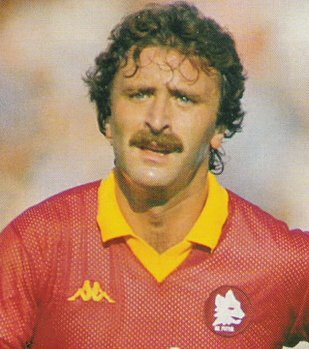 A precursor to Totti as a symbol of Roma, Giannini played for the club from 1981-96 and, like Losi, captained the Giallorossi for nine seasons. He was an attacking midfielder who scored 49 goals in 318 Roma appearances, winning three Coppa Italias and 47 Italy caps along the way. Giannini earned instant favour by opting to sign for Roma ahead of rivals Lazio, and was nicknamed “Il Principe” (the prince) for his grace and elegance on the pitch. 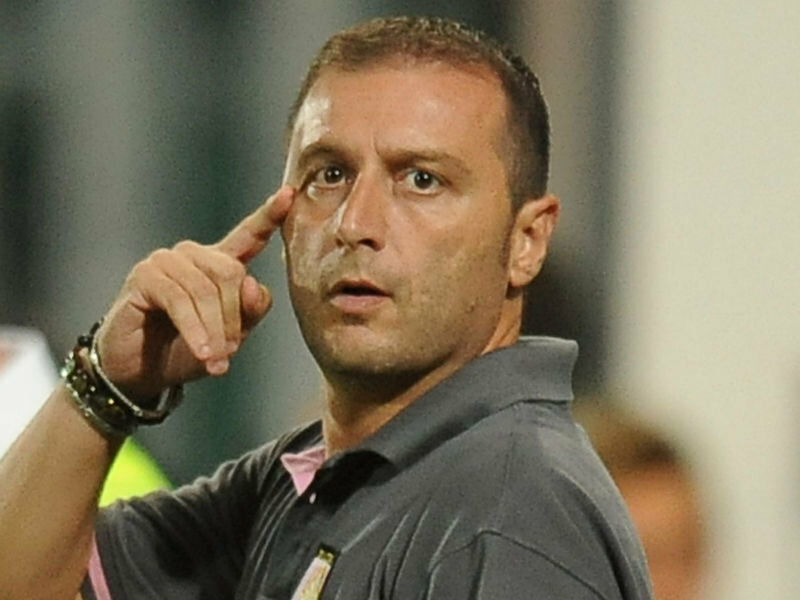 Retiring in 1998, Giannini is still only 47 and has managed a series of lower-level clubs (including Foggia and Verona) since 2004. Earlier this week I came across an unexpected name while browsing Udinese’s squad list. I’d never heard of Liam McCarthy, but a Scotsman’s name in an Italian squad tends to stick out considering the paucity of Scottish footballers plying their trade abroad. As a Scot who loves calcio, discovering McCarthy was interesting to me. Wikipedia (I know…) told me that he’s a midfielder currently on-loan at Anderlecht, but I wanted to know more. Naturally I headed to both clubs’ official websites, but all I could dig up was a couple of references to Mick McCarthy after Jelle Van Damme’s transfer from Anderlecht to Wolves a few seasons ago. Unperturbed, I headed straight to Google. Results, again, were thin on the ground but I did manage to dig-up a few bits and bobs from our good friend Wikipedia. McCarthy is 17-years-old and started his youth career with Kilmarnock in 2008. He transferred to Celtic two years later, before joining Udinese this past summer and immediately going to Anderlecht on-loan. He is yet to make a senior appearance for any club. I wasn’t happy with this. My only source was an unreferenced Wikipedia article for heaven’s sake. In search of concrete proof of this guy’s existence, I scoured numerous Celtic, Udinese and Anderlecht fan-sites but found nothing. Google proved useless as well, throwing up nothing but Mick McCarthy stories. 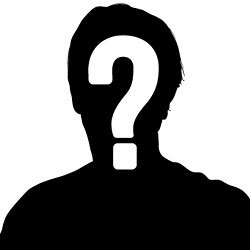 Turns out information on obscure Scottish youth players who haven’t made their pro debut is thin on the ground. The next logical step, it seemed, was to contact Udinese and Anderlecht. Getting a few words with McCarthy on his experiences in Udine would’ve made for an excellent post, and it’d have been fascinating to learn about the Udinese youth system from someone who’s experienced it. I sent the email on Monday evening: it’s now Saturday morning and I’ve heard nothing back. I’m not entirely surprised by this. Club secretaries are probably bombarded with mountains of rubbish every day, and I doubt they even read my humble request to speak to one of their youth players. Still, it would’ve been nice to have at least confirmed McCarthy’s existence. As it stands, I’m not even sure if Liam McCarthy is real. He’s on Wikipedia, but you can get away with posting any old guff on Wiki these days. If you are a Celtic, Udinese or Anderlecht follower who knows more about McCarthy than I do, I’d love to hear from you.